Glittering pieces by renowned French jewelry-brand Chaumet have made their way to the Far East, right here at Beijing's Palace Museum. 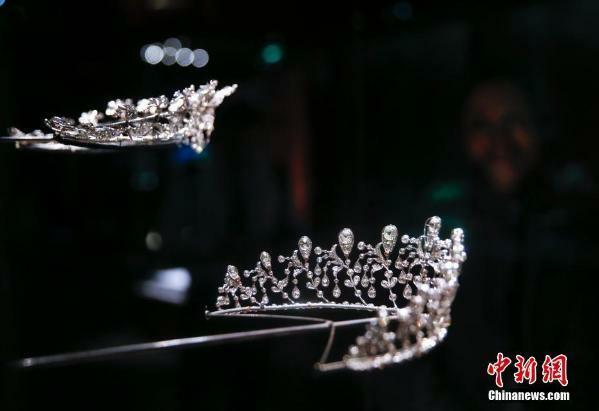 Visitors can take a walk through Chaumet's centuries-old history thanks to an exhibition at the former imperial residence in the Chinese capital. The grandeur of the historical royal premises in China and the elegance of the timeless jewelry dating as far back as the French Empire complement each other, with the over 300 items on display exuding radiance. With a roots dating back to 1780, Chaumet was started by artisan Marie-Étienne Nitot in Paris. But Chaumet really took off after Nitot became Napoleon Bonaparte's official jeweller in 1802. Credits include jewelry for Napoleon's wedding, his coronation crown, the hilt of his sword as well as many other pieces for the court. Also on the list of Chaumet's prestigious clientele were Louis-Philippe, King of France, and Queen Victoria of the United Kingdom. 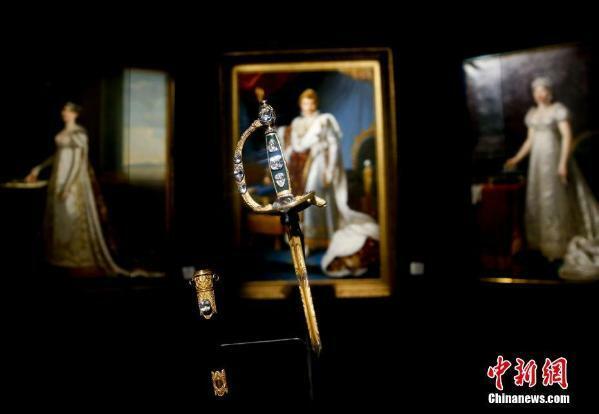 And the star of the Beijing exhibit is none other than the hilt of Napoleon's coronation sword. With a roots dating back to 1780, Chaumet was started by artisan Marie-Étienne Nitot in Paris. But Chaumet really took off after Nitot became Napoleon Bonaparte's official jeweller in 1802. The Chaumet jewelry pieces chronicle a period from the French Revolution to the present day. To create a sort of dialogue between pieces from France and China, Chaumet pieces are being showcased alongside Chinese imperial items. Crowns and tiaras are also being featured prominently at the museum, educating the public on their evolution through time. This exhibition is the second major foreign one at the Palace Museum after one displaying Afghan royal relics.